ای خواهرم،‌ برادر! ایرانی ای دلاور! 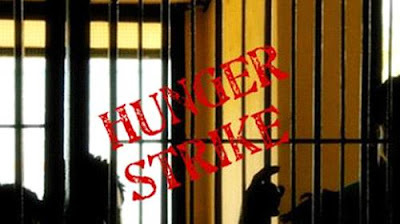 29 March 20 18 - Eight detainees from Iran’s Gonabadi Dervish minority began a hunger strike on 27 March in protest against the torture and other ill-treatment to which they say they are subjected. One of the men, Abbas Dehghan, has allegedly been threatened with his wife being raped in front of him if he does not “confess”. The men require medical care for injuries sustained at the time of their arrest on 19 February. GAZA CITY, Gaza Strip, CBS/AP March 30, 2018 -- Thousands of Palestinians marched to Gaza's border with Israel on Friday in the largest such demonstration in recent memory, and 14 were killed by Israeli fire on the first day of what Hamas organizers said will be six weeks of daily protests against a stifling border blockade. It was the bloodiest day in Gaza since the 2014 cross-border war between Israel and Hamas. Fourteen of the marchers were killed and more than 750 wounded by Israeli fire in clashes along the border fence, the Palestinian Health Ministry said. The large turnout of the flag-waving marchers in the dangerous border zone was a testament to Hamas' organizing skills, but it also signaled desperation among Gaza residents after a decade-old border closure. Life in the coastal strip has deteriorated further in recent months, with rising unemployment, grinding poverty and daily blackouts that last for hours. The U.N. Security Council has called an emergency meeting to discuss the deadly clashes. Kuwait requested the closed Security Council session, scheduled for Friday evening. The history student said she is a descendant of refugees from what is now Israel's southern Negev Desert. She said her grandfathers had lived in tents as refugees. 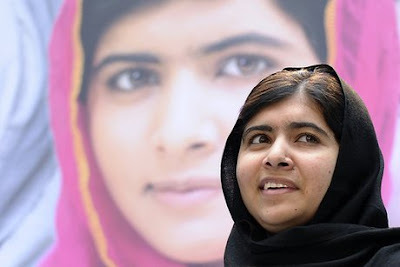 'I want to tell the world that the cause of our grandfathers is not dead,' she added. He had brought his family to a protest tent camp near Gaza City -- one of five set up several hundred meters from the border fence -- where he distributed water bottles to women and children sitting on a mat. Israel had threatened a tough response, hoping to deter breaches of the border fence. The Israeli military released video showing a row of snipers perched on a high earthen embankment facing the Gaza crowd in one location. Israel also used a new means of crowd control Friday -- small drones that each dropped several tear gas canisters on protesters below. People quickly scattered when they saw the drones approaching. Friday's high death toll and prospects of daily protests in coming weeks have raised concerns about another escalation along the volatile frontier. Israel and the Islamic militant Hamas have fought three cross-border wars in recent years. The protest campaign is meant to spotlight Palestinian demands for a 'right of return' to what is now Israel. A large majority of Gaza's 2 million people are descendants of Palestinians who fled or were driven from their homes in the 1948 Mideast war over Israel's creation. The planned mass sit-ins on the border are also seen as a new attempt by Hamas to break the border blockade, imposed by Israel and Egypt after Hamas seized Gaza from forces loyal to its rival, Palestinian President Mahmoud Abbas, in 2007. The continued closure has made it increasingly difficult for Hamas to govern. Other attempts to break the blockade, including wars with Israel and attempts to reconcile with the West Bank-based Abbas, have failed over the years. The latest Egyptian-led reconciliation efforts collapsed earlier this month, when a bomb targeted but missed Abbas' prime minister and intelligence chief during a visit to Gaza. Hamas and Abbas traded accusations after the bombing, signaling that any deal on Hamas handing the Gaza government to Abbas is increasingly unlikely. Israel and the Trump administration expressed concern in recent months about a looming humanitarian crisis in Gaza and appealed to the international community to fund large-scale development projects there, including a desalination plant. However, such plans appeared to be linked to a deal on Abbas taking charge in Gaza, and Israel didn't say what it would do if such an arrangement didn't work out. Friday's violence began before dawn when a 27-year-old farmer picking parsley in his field was hit by an Israeli tank shell in southern Gaza, the Health Ministry said. Another farmer was injured by shrapnel. UNITED NATIONS (Reuters) March 31, 2018 - United NationsSecretary-General Antonio Guterres called for an independent and transparent investigation into the deaths and injuries in Gaza on Friday, his spokesman said in a statement. 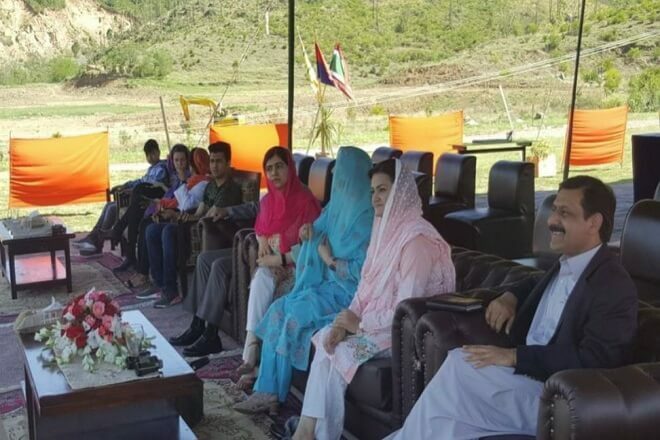 “He also appeals to those concerned to refrain from any act that could lead to further casualties and in particular any measures that could place civilians in harm’s way,” U.N. spokesman Farhan Haq said. 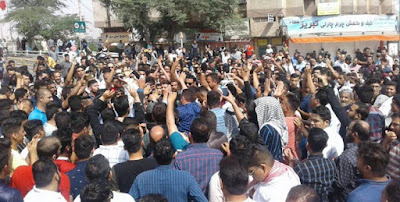 Iran, March 30, 2018 – Youth in Mahshahr, southern Iran, demonstrated against the vicious oppression, schism and discrimination against Iranian-Arabs by the mullahs' regime. In Abadan, southeastern Iran, residents and particularly the youth demonstrated during last night opposing the discriminatory policies of the mullahs who have been insulting Iranian-Arabs in the southern Iranian cities. 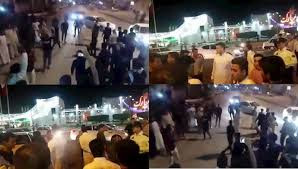 And on Friday, March 30th, Iranian-Arabs, residents of Kut-Abdullah in the southern part of the country, protested and clashed with the security forces as the night fell. They stood their ground and continued to rally despite the darkness of night. Hamidiah and Shaiban district of Ahwaz also was the scene of the demonstration by the Iranian-Arabs. 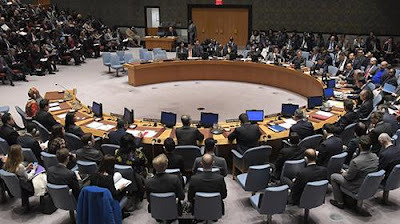 UNITED NATIONS, AFP, 31 March 2018 - The UN Security Council heard fears of a further escalation in Israeli-Palestinian violence in the Gaza Strip during emergency talks Friday despite a failure to agree a joint statement on deadly clashes. 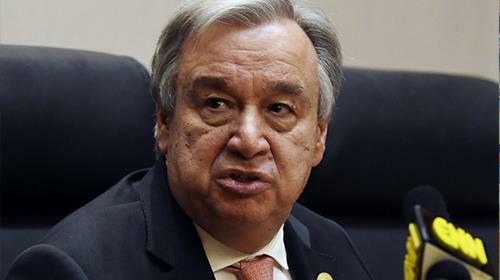 UN Secretary-General Antonio Guterres also called for an “independent and transparent investigation” and reaffirmed “the readiness” of the world body to revitalize peace efforts, a spokesperson said. Kuwait requested the meeting to discuss the unraveling situation in Gaza, where Palestinians said Israeli fire killed 16 people in the conflict’s deadliest single day since the 2014 Gaza war. Palestinian protestors wave their national flag and gesture during a demonstration commemorating Land Day near the border with Israel, east of Khan Yunis, in the southern Gaza Strip on March 30, 2018.Clashes erupted as thousands of Gazans marched near the Israeli border in a major protest dubbed 'The Great March of Return'. “There is fear that the situation might deteriorate in the coming days,” said assistant UN secretary general for political affairs, Taye-Brook Zerihoun, urging maximum restraint. Britain and the United States expressed regret that the timing of the meeting – the first night of Passover – meant Israeli officials could not attend. Leading ambassadors sent deputies in their place. “It’s vital that this Council be balanced in its approach,” a US diplomat told the meeting. “We should have found an arrangement for all parties to participate tonight,” he added. “We are deeply saddened by the loss of life today,” the diplomat added. “Bad actors who use protests as a cover to incite violence endanger innocent lives,” he added. In a written statement before the meeting, Israel’s ambassador to the United Nations, Danny Danon, blamed Hamas for the violence. Palestinians protesters run for cover from Israeli tear-gas during clashes after protests along the border between Israel and Gaza Strip, in the eastern Beit Hanun town, in the northern Gaza Strip, 30 March 2018. 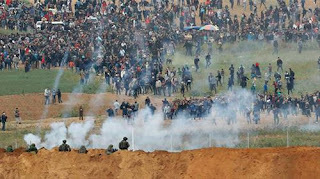 Seven Palestinians were kiled and more 500 others injured during the clashes along the border with Israel. Clashes erupted in various locations in the West Bank and alongside the Israeli borders with Gaza as Palestinians hold protests on the occasion of Land Day, the annual day commemorating the events of 30 March 1976 when marches and a general strike was organized in the Arab towns in the occupied lands. The 1976 marches were against the Israeli government announcement to expropriate thousands of acres of land for settlement. Its considered a day for the right of Palestinians to return to their land. The violence broke out as tens of thousands of Gazans marched near the Israeli border to demand that the right of return for Palestinian refugees who fled or were expelled since the creation of Israel. Israeli troops used tear gas and live fire to force back Palestinians who approached the heavily fortified border fence. Palestinian protestors waves their national flag during a demonstration commemorating Land Day, near the border with Israel, east of Gaza City, on March 30, 2018. Land Day marks the killing of six Arab Israelis during 1976 demonstrations against Israeli confiscations of Arab land. Israeli tank fire and an air strike also targeted three Hamas sites in the Gaza Strip after what the military said was an attempted shooting attack against soldiers along the border that caused no injuries. The health ministry in Gaza said 16 Palestinians were killed by Israeli forces and more than 1,400 were injured, including 758 by live fire, with the remainder hurt by rubber bullets and tear gas. Palestinians accused Israel of using disproportionate force. The Israeli military said the protests were used as cover by militants to either break through the border or carry out attacks. سیر ومرور اخبار و تحولات این روزها، نشان از تنگتر شدن حلقه انزوای رژیم آخوندی در عرصه بین‌المللی است. 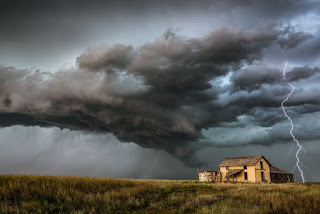 در حالی که رژیم در گریز از سرنوشت پایانی مهلت ۱۲۰روزهٴ آمریکا در رابطه با برجام، به اروپا امید بسته بود، اروپا خود در مسیر هماهنگی با سیاست آمریکا و پاسخ ـ ولو نسبی ـ به‌درخواست دونالد ترامپ مبنی بر هماهنگی در شش زمینه برای وادارکردن رژیم به تغیر رفتار، حرکت می‌کند. - ۸فروردین ۹۷ سفیران 28کشور عضو اتحادیه اروپا، وضع تحریم‌های جدید احتمالی علیه رژیم ایران را بررسی کردند! این تحریم‌ها از سوی تروئیکای اروپایی – انگلستان، فرانسه و آلمان... ارائه شده. احتمال می‌رود اعمال تحریم‌های جدید در نشست ماه آینده وزیران امور خارجه اتحادیه اروپا تصویب گردد. همزمان یورونیوز و خبرگزاری سپاه پاسداران موسوم به فارس هم نوشتند: «اروپا قصد دارد اسامی چند فرد را که به عقیده آنها در برنامه موشکی و حمایت ایران از نظام سوریه ایفای نقش کرده‌اند، در فهرست تحریمها قرار دهد. این افراد از ورود به اتحادیه اروپا منع شده و اگر در کشورهای عضو این اتحادیه دارایی داشته باشند، ایندارایی‌ها هم بلوکه می‌شود». -روز پنجشنبه 9فروردین همین خبرگزاری فارس، از قول سایت دولت انگلیس خبر داد که دولت انگلیس با انتشار سند تازه‌یی دربارهٴ امنیت ملی این کشور، ایران را تهدید حکومتی و کلیدی علیه امنیت ملی انگلیس معرفی کرد. دولت انگلیس مدعی شده «فعالیت ثبات زدای ایران در کشورهای خاورمیانه» یکی از تهدیدات حکومتی علیه امنیت ملی انگلیس است». -سایت رادیو فرانسه هم روز پنجشنبه 9فروردین 97 به‌نقل از ژان ایو لودریان وزیرخارجه آن کشور، ایران را به تحویل سلاح به حوثی‌های یمن متهم کرد. 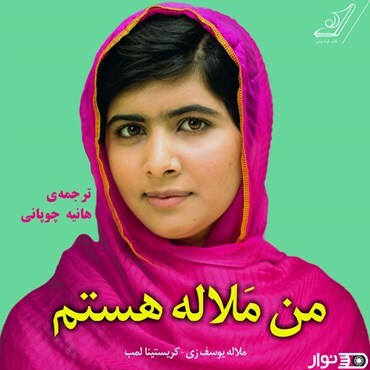 این موضعگیری پس از شلیک ۷موشک حوثی‌ها به سوی عربستان صورت گرفت که مقامات عربستانی با نمایش قطعاتی از موشکهای ساقط شده، روی ایرانی بودن موشکها دست گذاشتند. -روز چهارشنبه 8فروردین«رویتر» به‌نقل از منابع دیپلوماتیک نوشت که نمایندگان کشورهای عضو اتحادیه اروپا در نشستی اعمال تحریمهای موشکی تازه علیه ایران را مورد بررسی قرار داده‌اند. بنابراین گزارش، اعضای اتحادیه اروپا در تلاشند تا این تحریمها تا نشست روز 27فروردین(16آوریل) وزیران خارجه اتحادیه، نهایی شود. در همین حال نمایندهٴ ایتالیا در نشست بروکسل اعلام کرد که اعمال چنین تحریم‌هایی برای اقناع ترامپ جهت خارج نشدن از برجام کافی نیست. ایتالیا و یکی دو کشور دیگرمعتقدند که برای قانع کردن ترامپ به عدم خروج از برجام باید تحریمهای شدیدتری علیه رژیم اعمال کرد! این خبرها هم‌چنان که در مقدمه بحث اشاره شد، به‌روشنی حاکی از تنگتر شدن حلقه انزوا برگردن رژیم است. 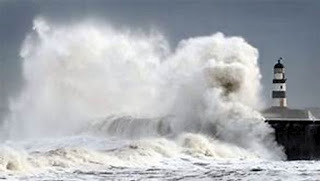 نفس تغییر و تحولات در تیم سیاست خارجی آمریکا که به‌طور مشخص حاکی از قاطعترشدن سیاست آمریکا در قبال ایران است، همین سمت و سو را نشان می‌دهد. این روزها بسیاری از سفرها و دیدارهای دیپلوماتیک هم در سمت وسوی همین سیاست انجام می‌گیرد. 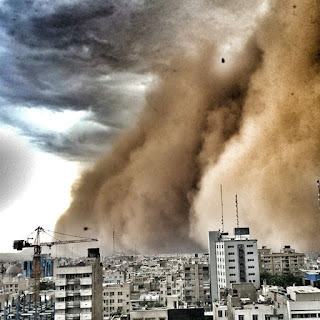 از جمله سفر ولیعهد عربستان به آمریکا که به گفته ناظران سیاسی موضوع اصلی‌اش آشکارا مقابله با رژیم آخوندی و تهدید امنیت منطقه توسط این رژیم است. این خبرها که البته تنها بخشی از انبوه تحولات موجود است، هم‌چنان ادامه دارد و افزوده می‌شود. 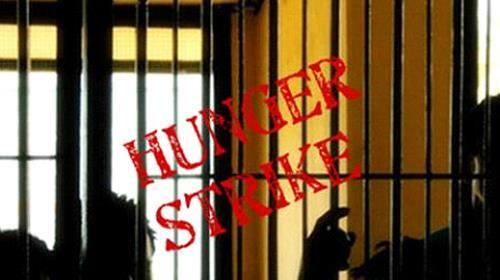 متقابلاً رژیم هم سلسله اقداماتی را در روابط خارجی خودش شروع کرده است. سفر روحانی به کشورهای آسیای میانه و تلاش برای تقویت روابط اقتصادی با همسایگان شمالی، سفر کمال خرازی به پاکستان، سفر ظریف به کشورهای حوزه بالکان و سفر وزیر خارجه عمان به ایران هم وجه دیگری از این فضای جوشان سیاست خارجی را نشان می‌دهد. تحولات دیگری هم هست که برای رژیم ناگوار است مثلموضعگیریهای اخیر کره شمالی که به نظر می‌رسد می‌خواهد با آمریکا و غرب به توافق برسد و این به‌معنی متمرکز شدن بیش‌از‌پیش آمریکا و جامعهٴ بین‌المللی روی رژیم است. به‌روشنی می‌شود دید که هر چه به موعد پایان مهلت ضرب‌الاجل آمریکا در مورد برجام (22اردیبهشت) نزدیک می‌شویم، این تحولات شتاب بیشتری می‌گیرد و حلقه انزوا بر گردن رژیم تنگتر می‌شود. اروپا که رژیم چشم دوخته بود آن را در برابر آمریکا قرار دهد، آشکارا در کنار آمریکا قرار گرفته و خودش هم مستقل از آمریکا در حال وضع و تصویب تحریمهای جدیدی علیه رژیم است. هدف هم این است که به رژیم فشار بیاورد تا دست از موشکی و دخالتهای تروریستی خودش در منطقه بردارد و نیروهای خودش را از سوریه و... بیرون بکشد. تا آن تاریخ، حتماً فشارها بر رژیم بیشتر خواهدشد، تحریمها افزایش پیدا می‌کند و همه در این جهت که به رژیم تفهیم کنند که راه دیگری جز سرکشیدن جام‌زهر موشکی و منطقه‌یی و به دنبالش جام‌زهر حقوق بشر ندارد. رژیم هم متقابلاً با تمام توش و توان، تلاش می‌کند از خوردن این جامهای زهر امتناع کند. چون به قول خود خامنه‌ای این روند، تنزل بی‌پایان است و نهایتاً راه به نفی نظام ولایت فقیه خواهد برد. بنابراین می‌بینیم که موشکپرانیهای زنجیره‌یی به عربستان سعودی را ادامه می‌دهد که البته در مورد آن تفسیرهای مختلفی هست؛ یک تفسیر این است که این ژستهای قدرت نمایانه حاکی از تصمیم رژیم به ایستادن در برابر فشارهای جامعهٴ بین‌المللی است و یک تفسیر دیگر این را دود و دم استتار برای عقب‌نشینی تلقی می‌کند. چون در عین‌ حال شاهد درخواست و التماس ظریف و روحانی برای مذاکره با عربستان هستیم. به هر حال دو راه بیشتر پیش پای رژیم نیست و رژیم گزینهٴ دیگری ندارد. یا تسلیم و دست برداشتن از موشکی و دخالتهای منطقه‌یی یا ایستادن در برابر جامعهٴ بین‌المللی و پذیرش تبعات مرگبار آن. که مشکل می‌شود گفت کدام یک از این دو برای رژیم خطرناکتر و مرگبارتر است. 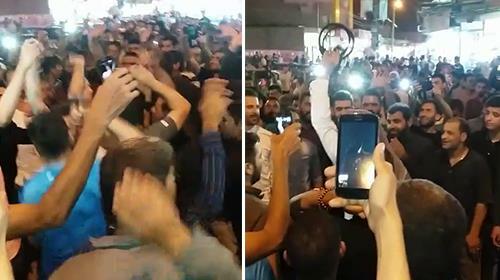 مهم این است که رژیم دیگر مثل برجام نمی‌تواند تصمیم‌گیری و انتخابش را کش بدهد و باید در روزهای پیش رو تعیین تکلیف کند. 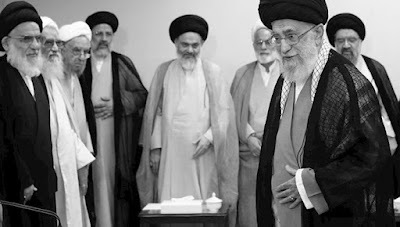 اعتراضات مردم اهواز امروز شنبه ۱۱ فروردین در ششمین روز خود ادامه یافت. این اعتراضات به دلیل توهین صدا و سیمای حکومت به مردم اهواز صورت گرفته است. اين اعتراضات از روز دوشنبه ششم فروردین در ماهشهر آغاز شد و سپس به اهواز و مناطق آن و شهر شادگان گسترش پیدا کرد. شب گذشته در آبادان ماهشهر کوت عبدالله کوت و زیتون و .. صورت گرفته استمروز شنبه ۱۱ فروردین ماه؛ مردم و جوانان عرب زبان اهوازی در اعتراض به توهین و اهانت صدا و سیمای آخوندی؛ برای چندمین روز متوالی دست به راهپیمایی و اعتراض در خیابانهای شهر زدند. تظاهرات شبانه در شهرهای خوزستان در اعتراض به توهین سیمای حکومت به مردم خوزستان ادامه دارد امشب علاوه بر اهواز در شهرهای آبادان، ماهشهر، شیبان، حمیدیه، سید نعیم و کیانپارس ادامه پیدا کرد. عصر امروز جمعه دهم فروردين ۹۷ اعتراضات مردم اهواز به اهانتهای صدا و سيما برای چهارمین روز همچنان ادامه دارد. اين اعتراضات در مناطق و شهرهای مختلف بطور مسالمت آميز برپا شد. برای سرکوب اين اعتراضات نیروهای انتظامی و گارد ضدشورش را وارد کرده و بجای پاسخگویی به خواسته های مردم، نيروهای امنيتی با هجوم به تظاهرات مسالمت آميز شهروندان با استفاده از گاز اشك آور و اسلحه گرم با خشونت برخورد كردند. براثر این شلیک ها شماری از هموطنان مجروح شدند. کوت عبدالله ده ها تن بازداشت شدند. روز پنجشنبه نيز در مركز شهر اهواز تظاهرات مسالمت آميز برگزار شد كه پس از دخالت نيروی انتظامی به خشونت كشيده شد. خالد مهاوی از كوی اخر اسفالت، محمود بيت سياح از كوی آخر آسفالت، سعد نواصری از كوت عبدالله، محمد جليل كنون از كوت عبدالله و اسد نواصری از كوت عبدالله كه در اثر هجوم نيروهای انتظامی مجروح شد. تعدادی از بانوان هم در این تظاهرات دستگیر شده اند. در پی توهین رادیو حکومتی به هموطنان اهوازی ودر پی آن تظاهرات گسترده زنان ومردان دراهواز وشهرک های اطراف آن نیروهای حکومتی به سرکوب ودستگیری مردم پرداختند .منابع خبری وخبرنگاران محلی و فعالان حقوق بشری میدهند که تعداد زیادی در منطقه کوی زیتون ومنطقه کوت عبدالله توسط لباس شخصی ها و ماموران وزارت اطلاعات بازداشت شدند منابع حقوق بشری می گویند وزارت اطلاعات بازداشت شدگان را به مكان مجهولى منتقل كردند. این منابع افزودند که تعداد بازداشت شدگان بيش از 35 نَفَر هستند كه 5 زن جزء بازداشت شدگان هستند.کریم دحیمی یکی از فعالان حقوق بشر در تماسی گفت‌«نيروهاى اداره اطلاعات اهواز روز چهارشنبه با یورش به منازل بازداشت شدگان، منازل آنها را بازرسى و تعدادى موبايل و وسایل دیگر را با خود برده‌اند».او افزود:«فعالان حقوق بشری در تماس تلفنی گفتند تاکنون هويت سه تن از بازداشت شدگان به نام‌های مريم زبيدى ٥١ ساله و دو فرزندش بنيامين آلبوغبيش ٢٨ ساله و محمد على آلبوغبيش ٢٥ ساله مشخص شده است به گفته این منابع تا كنون اتهام و محل نگهدارى بازداشت شدگان مشخص نشده است. .»بازگشت ملاله یوسف‌زی به زادگاهش تحت تدابیر شدید امنیتی صورت گرفت. پدر و مادر و دو برادر ملاله در این سفر او را همراهی می‌کردند.تدابیر امنیتی در پی آن اتخاذ شده است که شماری از محافظه‌کاران و تندروهای مذهبی در پاکستان ملاله را «عامل غرب و مایه ننگ پاکستان» خوانده‌اند.ملاله پس از دیدار با دوستان و اقوام به کالج نظامی سوات رفت و دقایقی چند را با دانشجویان این مرکز سپری کرد.با این حال سخنرانی از پیش اعلام‌شده ملاله در این کالج انجام نشد و او بلافاصله به اسلام‌ آباد بازگشت.ملاله یوسف‌زی در سال ۲۰۱۴ در سن هفده‌ سالگی جایزه صلح نوبل را دریافت کرد. وی هم‌اکنون در دانشگاه اکسفورد در حال تحصیل است.دره سوات که زادگاه ملاله است، در سال ۲۰۰۷ به تسلط طالبان پاکستان درآمد اما با یورش ارتش، کنترل آنها بر این منطقه پایان یافت.با این حال هنوز در این منطقه امنیت کامل برقرار نشده است. در ماه فوریه امسال، ۱۱ نظامی در این منطقه کشته شدند.